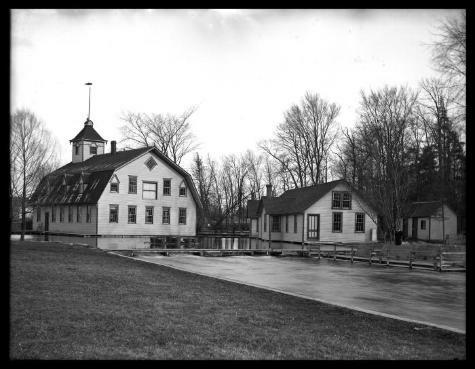 Exterior view of the Caledonia Fish Hatchery in Caledonia, Livingston County (established 1870). The date is unrecorded, but probably ca. 1920. This image was created to record the game hatchery activities of the New York State Forest, Fish and Game Commission, Conservation Commission, or Conservation Department. Source: New York State Archives, New York (State). Conservation Dept. Photographic prints and negatives, [ca. 1904-1949], 14297-87, SARA No. 490.